"A high school stage play is more polished than this service we have been rehearsing since the year one. In two thousand years, we have not worked out the kinks. We positively glorify them. Week after week we witness the same miracle: that God is so mighty he can stifle his own laughter. Week after week, we witness the same miracle: that God, for reasons unfathomable, refrains from blowing our dancing bear act to smithereens. Week after week Christ washes the disciples' dirty feet, handles their very toes, and repeats, It is all right -- believe it or not -- to be people. Who can believe it?" I first read Annie Dillard's apt description of corporate worship services at a time in my life when I was really, really tired of corporate worship. I'd been trained to hope for, above all else, a Holy Spirit revival when God's people met on Sundays. This hope made every other part of church life pale in comparison. You can imagine the cumulative effect of such hope year after year with only rare sightings of anything other-worldly in our worship services. Eventually, I began to wonder things like "Why did Jesus ask us to do this little routine with the bread and wine when we're just waiting for the Pentecost flame moment all the time?" and "What's the point of the Lord's prayer if we just want the tongues?" Probably these questions marked the moment of my conversion to Anglicanism. I needed to find an ecclesial container large enough, and sturdy enough to nourish and sustain the healthiest parts of those roots -- all that was good and true and beautiful planted into my childhood church experience that would produce good fruit in the dailiness of following Jesus. The Anglican liturgy is old enough, and broad enough to articulate all that I strove for in years of restless worship and anxious altar calls. Then and now, I hold out hope that one of these Sundays all of it would blow into smithereens, that the Holy Spirit would rend the heavens and touch down in our sanctuary. In the meantime, this preacher's kid has found rest knowing that no matter how convicting the sermon or provoking the altar call, at the end of the service it is Jesus Himself hosting the feast. That every child, woman and man will walk to the front to receive gifts of God for the people of God, while healing pray-ers stand by waiting for the ones who can’t make it that far. Last evening we had to modify our liturgy at Christ Church because both of our priests were on vacation and we had no one to serve the Sacrament. This morning it strikes me funny that I didn't think twice about this. Oh my, the conversations we would have had years ago imagining that there were actually Christians in the world who believed a priest had to preside over the Table. And not only that, but that there might in fact be some mysterious element to the Lord's Supper that makes it something more than a mere symbol of remembrance, therefore requiring a wholly-dedicated representative of the Christ we can not see, but can only ingest. I missed it though. 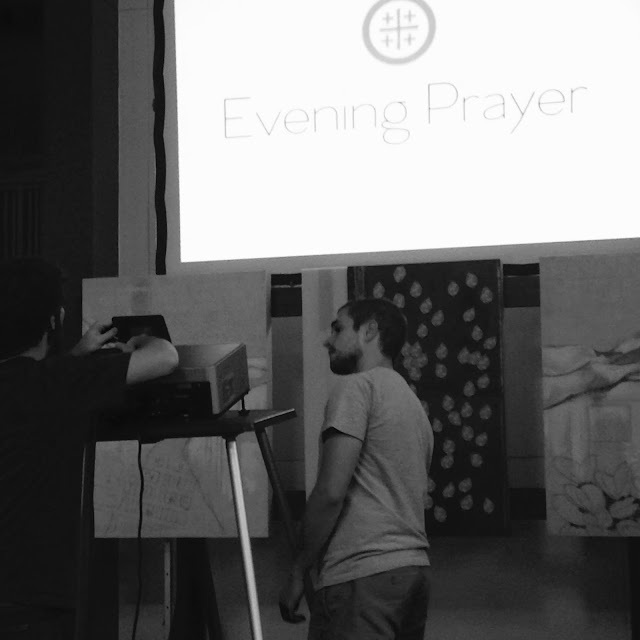 And Brian led in Evening prayer and taught us well out of the Gospel of Mark. 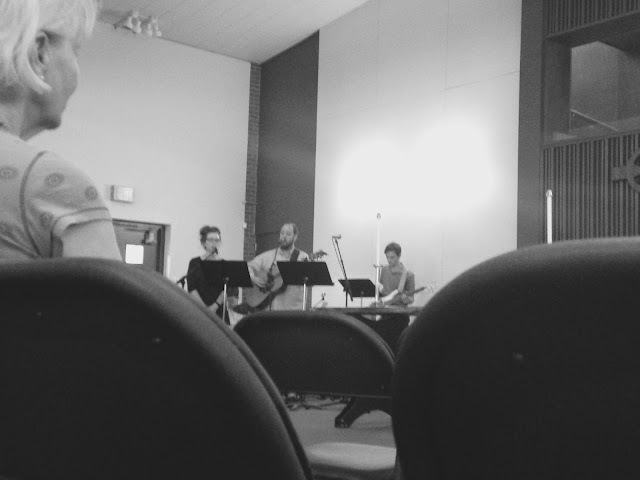 Our worship pastor Bryan led us passionately and thoughtfully into the worship of all the saints. We sang the words that even now cherubim and seraphim are singing at the Throne: Holy, holy, holy..." And we sang about the reality of this place where Jesus sits with the Father "Clothed in rainbows, of living color / Flashes of lightning, rolls of thunder / Blessing and honor, strength and / Glory and power be / To You the Only Wise King." And for just a moment, aided by the skillful musicians and the Holy Spirit, the veil that clouds my eyes from seeing fully this throneroom of Christ was lifted for a tiny glimpse. It was a transcendent moment and my eyes and ears were more closely attuned to the Real World that is "on earth as it is in heaven." And we sang and I raised my arms in the woefully inadequate physical response to this knowledge. And I prayed in the lyrics and I imagined a more beautiful Truth than I'd imagined for at least the last seven days. And then the song ended. And it kind of reminded me of the time my friends Scott & Kim LaGraff performed a vocal recital for us in New York. With all the grandeur of their voices, it was the moment of silence immediately following each song that nearly wrecked me. That moment when the only response we can muster is silence. As a group, we were transported and wondering if we'd returned to the place we started from or somewhere new altogether. And then we walk across the courtyard to a little, plain room where we potluck (emphasis on the "luck" since no one seems to have remembered it's potluck week) together because Christ has, in fact, made us all priests with food and stories to share. May we all be sustained and may the lonely, desperate in our city draw near to the Gift who gives us life even while we wait to see Him face to face. 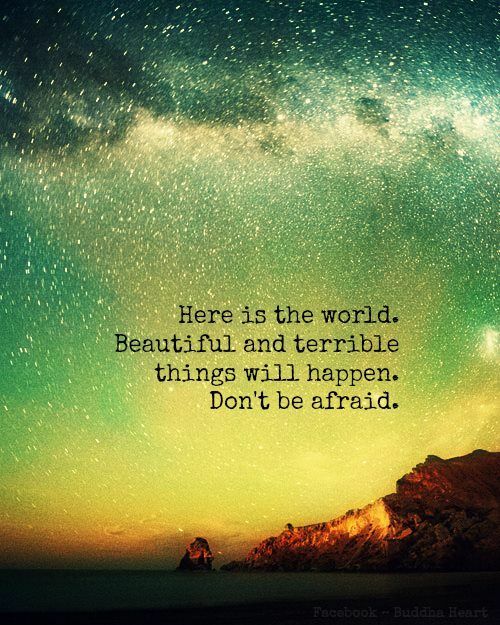 One of my favorite Frederick Buechner quotations. "Lament for the Dead is an online community poetry project which will mark the death of every person killed by police this summer, and every police this summer, and every police officer who loses life in the line of duty, with a poem." So glad for this meaningful project and so impressed with my friend Ahna's thoughtful response to Nicholas E. Booth's life and death. "Eating in Greek restaurants is a gesture of solidarity with the Greek community in any town or city. The restaurant probably sources much of its food locally, but wine, spirits and coffee may be imported from Greece, so your custom helps support Greek exports, and your custom helps a family here to send back money to Greece." I read Patrick Comerford's blog for ideas about Ireland and Anglicanism so his mini-series on practical ways to support Greece totally got my attention. Also, if eating Greek food helps anyone, I'm all in. "This is the country we live in. Millions of Black lives are valued less than a single White person’s hurt feelings. White people and Black people are not having a discussion about race. Black people, thinking as a group, are talking about living in a racist system. White people, thinking as individuals, refuse to talk about “I, racist” and instead protect their own individual and personal goodness. In doing so, they reject the existence of racism." John Metta's words are helping me toward even better understanding and reminding me again that, more than ever, we have an opportunity to repent. By "we", I mean me and you. By "opportunity" I mean a charge for right now. Will you join me? "We stood amazed as dozens of dragonflies zipped from one leaf to another, their iridescent wings glinting in the sun. They ranged from cobalt blue to malachite to charcoal black. We wondered whether the insects changed color depending on the angle of the sun, or whether there were actually three different varieties of dragonfly dipping in and out of the shadows." I'm always a fan of Michelle DeRusha's photography, and I'm looking forward to digging through the Literary Tour archives at Tweetspeak. 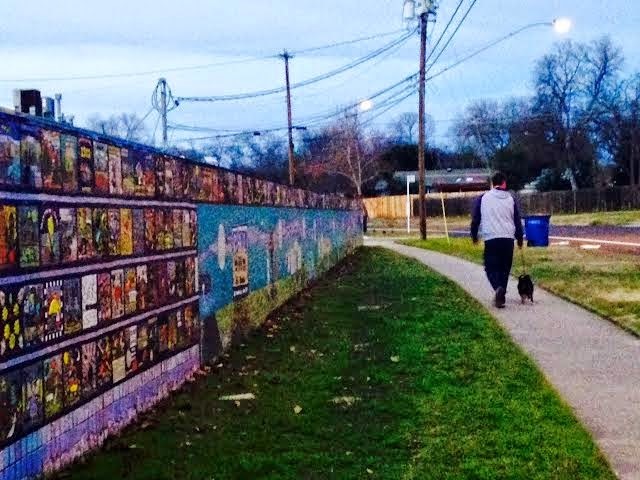 Brian and our scaredy-dog Leopold on a neighborhood tour, January 2015. "Jean Louise Finch always made this journey by air, but she decided to go by train from New York to Maycomb Junction on her fifth annual trip home. For one thing, she had the life scared out of her the last time she was on a plane: the pilot elected to fly through a tornado. 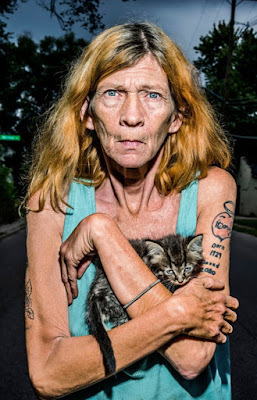 For another thing, flying home meant her father rising at three in the morning, driving a hundred miles to meet her in Mobile, and doing a full day’s work afterwards: he was seventy-two now and this was no longer fair." I can't decide yet if I'm going to read the new release. Some things are best left unfinished, am I right? Still I enjoyed the guilty pleasure of this gimicky animated first chapter narrated by Reese Witherspoon. It kinda worked for me. "In 2011, the House of Representatives made a controversial decision to end its 200-year-old "Page" program, which brought young Americans to Congress as messengers. With a fly-on-the wall perspective, Pages witnessed the most extraordinary events in U.S. history. Many have gone on to become senators, congressmen, presidential advisers, civic leaders, and successful entrepreneurs. We're telling their story for the first time." 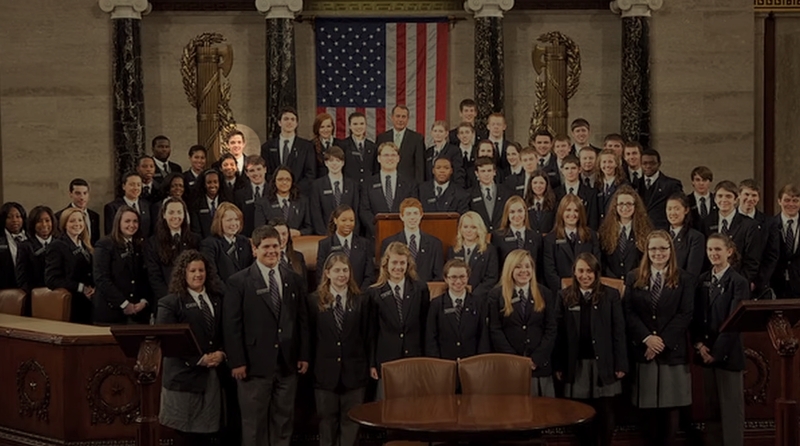 In the spring semester for 2011, our son Alex was part of the Congressional Page Program. He lived in Washington, D.C. for six months and we're still pinching ourselves about the whole experience. We didn't know it then, but his class would be the last after a 200 year run. I'm so glad that someone is making a documentary about the quiet history of this extraordinary program. We found Alex a few places in the trailer! 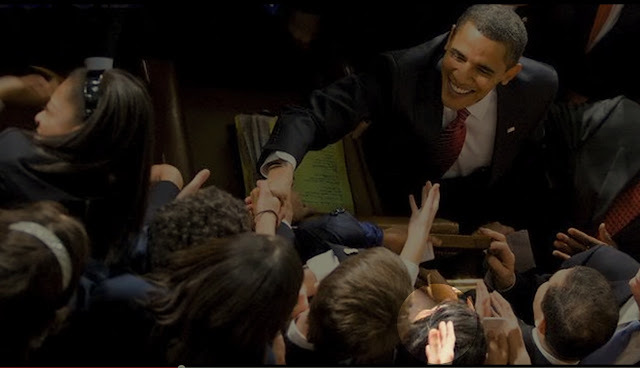 The hand reaching into the shot to meet President Obama just before his 2011 State of the Union address. Hoping for a good and content weekend for us all, friends. I've been going on and on about the beauty of summertime in the Northeast. And it's true. Summertime is not particularly pretty in Texas. About mid-July the sun sort of picks up an offense against us and glares it's high beams day and night. If you happen to have Texan facebook friends, scroll through a few of their recent photos and you'll see exactly what I mean. We meet friends for dinner at some hip place and, naturally, want to record the moment. We rummage around for about 15 minutes trying to figure out how to angle the camera so that the sun isn't obliterating the image of our faces. In the end, we just smile and make the best of it, squinting into the camera like we're studying the surface of the sun. Which, in fact, we are. To be fair, June was quite lovely. For that I'm thankful. This moment of the gorgeous puffy white clouds is a great example. I risked my life to take the photo, driving up the expressway but it was just one of those moments I wanted to notice my new homeland and be grateful. It's the first morning after returning from vacation and our vehicle just quit working (thankfully that happened AFTER we finished our 3,500 mile drive). And we had to go to work and share one vehicle. Don't we look happy? Somehow I've managed to make it 44 years in this world without ever entering a karaoke room. Mind you, we've held our own private parties with some sort of electronic contraption when the kids were little. And there was one fantastic story of Brian bringing down the house dedicating a song to me on a Caribbean cruise ship. Saturday night I was invited to join this fabulous group of women celebrating the dear Eva's upcoming marriage. I spent half the time sitting in a corner laughing (and wondering what the heck they were singing since I missed about a decade of popular music when all we did was watch Barney all day long. I managed to belt out a few tunes, though. And, man, it was fun. If you live in Austin, you can find this sweet photo opp on the corner of E. 6th and Brushy. You can see the real reason Jay came to Texas by following @jaywalkerstudio and @laitylodge on Instagram (tag #seeingthroughitall). Look for the grace and peace of Christ this weekend and let me what you discover. "And so in The Diary, nothing much happens. The conflict is not good versus evil, but rather “boredom” versus faith: the choice either to take for granted a world of habitual vice, moral compromise, and creeping death, or the choice to open yourself to love. And this conflict takes place in the pages of this diary – a diary kept with some misgivings." 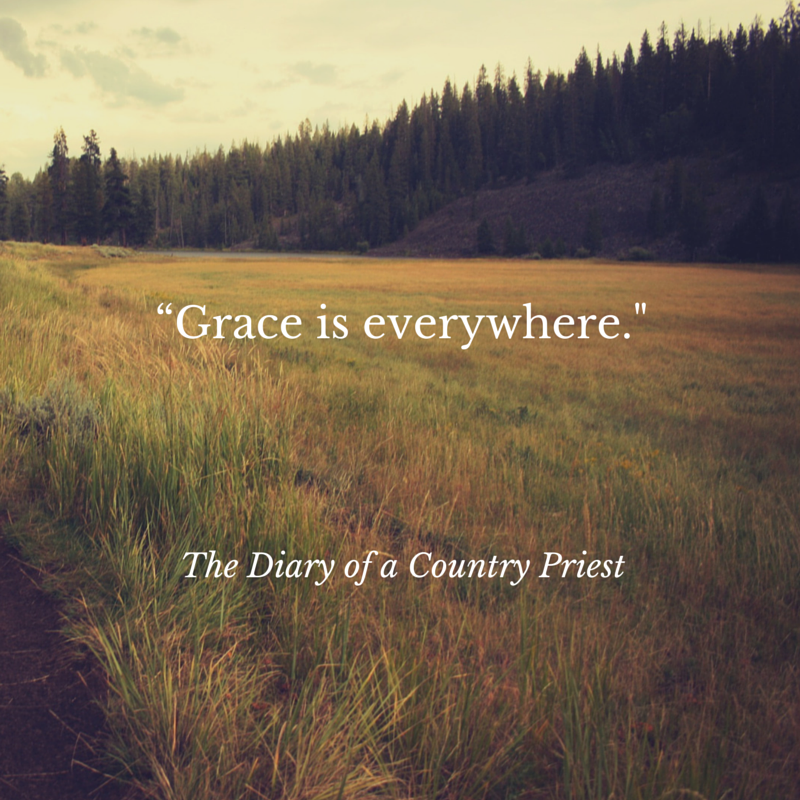 Last summer I read Diary of A Country Priest and loved this reflection by Joe Krall as a follow-up. I kind of wished I'd read the reflection before reading the classic novel. On the other hand, now I'd like to read the book again. "As most reviews have noted, Inside Out is about learning to reconcile joy and sadness, whether you’re a tween forced to move away from friends, as Riley is, or a parent who can no longer protect your child from life’s hardships. It’s a rich subject – one mined with Pixar’s usual combination of wit, intelligence and emotional resonance – and also one that echoes a Christian understanding of the human experience. Christianity, after all, is an expression of joy in response to - not in denial of - deep sadness." This review is more like a snapshot into one aspect of the Pixar film. For a lot more detail, listen to the Filmspotting podcast where Josh Larsen and Michael Phillips (Chicago Tribune) spell out what they agreed and what they agreed to disagree about Inside Out. I've haven't seen it yet, partly because I have a big "mom guilt" trigger these days and this film seems like it might send me to the therapist's office. Have you seen it? What'd you think? "Therefore, in one of the great ironies of late modern times, when we celebrate diversity in so many other cultural sectors, we have truncated the ultimate unity-in-diversity: inter-gendered marriage. " A reasonable, courteous, peaceful and Scriptural response. I highly recommend this article. I'm going to keep this link handy for all of the coming 200-degree summer days in Austin. Somehow the Khanty people make cold look gorgeous. "As soon as I tell the students class is finished (see you on Monday, Insha’Allah) they gather around Maryan. They are blessing her. They run their hands down her, from the top of her head down past her belly. They gather around and lift up their palms. Salat, salat. I don’t know exactly what they are saying, but I know enough. I am blessing her too. My heart is aflame for her, for everyone gathered around her. I am so tired of pretending otherwise, of acting like making and understanding these tiny marks on the page are of any importance at all. I just want to touch her arm and say be blessed. I just want to see her be okay. I just want to know that there is someone watching over her, a love and a presence who is much more able than I am to see it all. I will pray, I tell my students. That the baby will be okay. That Maryan will be okay." I can't read D.L. Mayfield's essay without thinking of my mother and sister who have taught (and blessed and loved) ESL to adults at the American Civic Association in Binghamton. 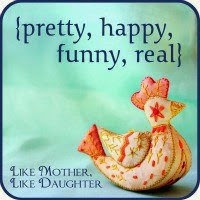 Sometimes my mother says to me, "If nothing else, I get to be a person who smiles at them." Houses in our neighborhood (the ones not gobbled up by greedy land developers), the innovative watching-film-as-experience scene in Austin and a spotlight of Austin cooperative business which includes our neighborhood pub the Black Star! Just 3 more reasons we love living here! 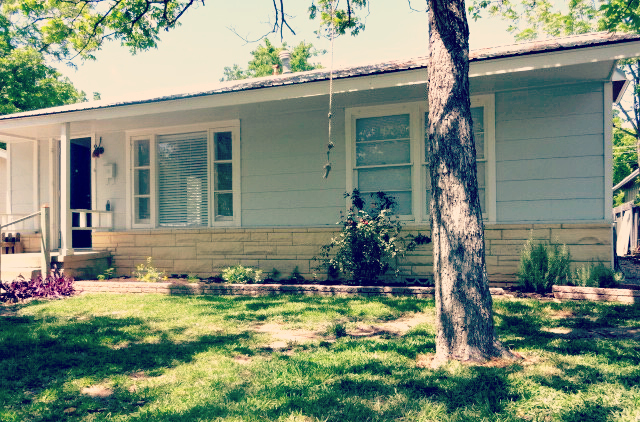 We rent so we can't sign our house up for the 100 Houses project. Here's a photo, though. "No television product wants the title Rectify has now claimed for two years in a row: the best show nobody’s watching. Toiling away on the Sundance Channel, the Southern Gothic tale of a man freed from death row after 19 years has received the kind of rave reviews that keep a show on the air despite desperately low ratings, and it’s back for a third season Thursday night. Rectify is slow and often hypnotic, but its deliberate style is all in the service of great storytelling, trading wild twists and turns for quiet poeticism." For what it's worth I'll add my two cents: Rectify is one of the best (and hardest-to-watch) of anything I've ever seen on television.